What Are Forex News Types That I Should Know Before Trading ? If you want to do forex trading in Sri Lanka, you would need to understand that economic indicators can have a huge impact on the currency market. Economic indicators show the strength and potential of an economy of a country. They provide you with a complete picture of an economy’s current and potential standing with factors like GDP and unemployment rate. Forex traders take interest in these indicators as these indicators help in comprehending the direction forex market might take in future. A crucial news release related to economies around the world can lead to volatile situations in the forex market and force a specific pair of currency to move in a particular direction. It can be upward, downward, or sideways. Every week several news releases are made associated with various economic indicators and in today’s digital era, everyone can easily access the news and information to understand the mechanism of the forex market in the light of various economic indicators. Every month, several central banks around the world from different economies gather to decide about their interest rates. They decide whether to let the interest rates remain unchanged or raise the rates, or bring down the rates. These interest rates are very important and make a vast impact on the foreign exchange market. When there is an increase in the interest rate, the market usually takes a bullish trend and that means there will be an increase in the value of the currency. On the other hand, when the interest rate is brought down to a lower level, the forex market is expected to take the bearish trend, which means that there will be a decrease in the value of currency price. For unchanged interest rate, the market can take any direction based on the circumstances of the concerned economy at that time. Along with the change in interest rate, the policy statement is also released providing with the complete sum-up of the economy and what could be the future of the economy. In addition, the monetary policy of the economies is also declared, associated with the essential financial matters of the country. The Gross Domestic Product is a very crucial factor representing the overall economic condition of a country. Basically, GDP is the total value of all goods and services that have been produced by a country over the course of a period of time like annually. GDP does affect the price movements of the currencies in the foreign exchange market. When the gross domestic product of a country is not up to the expectations of the market, it can be said that the currency values might go down. Similarly, when the GDP of a country is beyond what the market has been expecting, the values of the currency is expected to move upwards. Th GDP figures are diligently evaluated by the forex traders as it also helps in recognizing or anticipating the future moves of the central banks. GDP is also a very significant economic indicator as it helps in identifying the current situations of the business cycle of a country. The business cycle is kind of a combination of expansion and recession cycles. During the expansion phase, many sectors of the economy expand or grow together, and in the recession phase, the growth rate of those sectors starts to contract. Thus, GDP is a leading factor is analyzing the foreign exchange market. As a forex trader, you must be aware of it and you must also understand that it is a lagging economic indicator which confirms the things traders are already expecting. The consumer price index or CPI shows the cost of goods and services and is also recognized cost-of-living index. CPI helps in managing and controlling the rate at which prices of the good or services rise or fall. The CPI appraise the inflation rate (the rate at which the price of goods and services rise in an economy) which is a part of people’s lives through their everyday expenses. When there is any sign of a rise in the inflation rate, it means the central banks will have to increase the interest rates. Higher interest rates mean the bullish trend in the market. When inflation stays inside the anticipated levels, it is regarded as a regular figure. Nevertheless, if inflation swerves farther from the target levels for a longer period of time than expected, it can result in a negative outcome for the economy. CPI is a part of monetary policies, as a result, it can have a higher effect on prices in the forex market. For a majority of forex traders, non-farm payroll or NFP is one of the most crucial indicators in the all the news releases that come out on regular basis like every month. The NFP report is released by Bureau of Labor Statistics (BLS) on the first Friday of every month. The BLS also declares the unemployment rate as a component of the Employment Situation Report. The report comprises of the data figures for the new jobs which have been created in the US together with some other labor market information. The data comprises of all the workers that have been paid, however, the data leave out the government workers, personal households, non-profit establishments, and agricultural industry. The main reason behind why NFP is so important and is followed so industriously is because it has a propensity to bring substantial movements in the forex market. It partly depends on the timing of the release of the report. There is a close relation between employment rate and the business cycle. The changes in NFP or non-farm payrolls is quite similar to the changes in GDP on a quarterly basis. It means that NFP can be utilized as a proxy in place of GDP. The main difference between NFP and GDP report is that NFP is released on a monthly basis and GDP report comes out on a quarterly basis. In addition, while NFP reports the data of the last month, and GDP reports the delayed information. Apart from the connection between NFP and GDP, NFP report also has the impact on monetary policy of the economy and in which direction the policy will move. The ADP National Employment Report comprises the economic data concerning the levels of non-farm private employment in the U.S.A. The report is released on monthly basis. ADP stands for Automatic Data Processing, which is also the firm that has been accumulating the employment data and preparing the reports since the year 2006. ADP gathers the data using the payroll facilities and services it delivers to the about 1/5th of the U.S. private employment. The ADP report comes out two days before the NFP report released by the Bureau of Labor Statistics. Traders in the forex market look at the ADP report as a preview of the more extensive and elaborated reports that are released by the government. The first category comprises of a national snapshot which displays the changes in the data figures non-farm private payrolls and divides the data based on business size and industry. The second category comprises of the data figures of the small businesses, which is further divided on the basis of small and very small sizes of the businesses, and is also divided based on whether the business delivers goods or services. The third category shares the data regarding the franchises and divided the data based on the sector, which is further divided into the industry like restaurants, real estate, and so on. The fourth category shares the data based on regions and it mainly highlights the data changes in six prominent states of the USA including New York, Texas, California, Florida, New Jersey, and Illinois. Each region is further divided into sector and industry. One of the other reasons for why ADP is such an important indicator for forex traders is because if the employment figures show a continual and strong growth for a period of time, it escalates the inflationary rates and because of that, the Federal Reserve may also increase the interest rates and vice-versa. This will impact the forex market depending on the market situations and economy’s present and potential standing. Even though the meetings of central banks from different economies are very crucial when it comes to economic indicators affecting the forex market price movements, the Federal Open Market Committee of America is also very important and its meetings have taken the center stage as the US Dollar is at the moment most powerful currency in the world. Every month the FOMC meeting takes place in order to decide on rates and to provide information about present economic conditions, how effective the current monetary policy is, and what are future expectations from economic conditions and monetary policy. FOMC meetings can have a vast impact on the volatility of the forex market. The Federal Open Markets Committee meetings are conducted eight times every year and the outcomes of these meetings are highly anticipated by the forex traders as these meetings can affect the demand and supply of the currency pairs in case the outcomes is not as expected. The trade balance is the difference between the value of the imports and exports of the economy of a country. If the value of exports is higher than the value of imports, the balance will be positive. Similarly, if the value of imports is more than the value of exports, the balance will be negative. In all of this, the exchange rate of the economy’s currency plays a very big role. To trade successfully in the forex market, traders need to know the exchange rate and the information about a country’s net exports can help the forex traders in analyzing and predicting the future movements in inflation rate and foreign investments. This gives the hints about how the currency market may behave in future. The foreign exchange rate between the currencies of two economies. The trade balance helps the economists and forex traders in evaluating and comparing the economic strength of one country to another. If a country has a large trade deficit i.e. large negative trade balance, it would have to borrow the funds from other trading partners in order to buy goods and services. The Trade balance reports can create substantial movements in the forex markets if the data has evidential changes as compared to previous reports. The proper name for retail sales is Advance Monthly Sales for Retail Trade. However, for forex traders, it is retail sales. The retail sales report is released by the Census Bureau, which is a division in the U.S. Department of Commerce. This report provides with an early estimation of the value (in dollars) of sales for the retail sector. Although the sales do not include inflation rate adjustments. The report also shows the percentage change in the value of sales from the preceding month. If the retail sales figures are growing, it shows that the economy is in good health and as a result, forex market takes up the bullish trend. The usage of the retail sales report in forex trading is clearly understandable as the report offers the very particular data about the industries and products on which customers are spending a large part of their income. Retail sales report is one of the most valuable economic indicators in the forex market and using this indicator, the forex traders can surmise the price movements in the forex market to some extent. If you want to learn about how these economic indicators are useful in forex market analysis, you can refer to ‘ Fundamental and Technical Analysis in Forex Trading ’. In addition, if you are interested in knowing about forex brokers in Sri Lanka, you can go to, ‘ Where to trade Forex Online and type of Forex brokers ? ’. Various indicators are used by traders for forex trading in Sri Lanka in order to get some detailed understanding of the supply and demand of currencies. There are many ways to analyze the forex market and what’s important is how to use various technical tools to analyze the market information. You can learn to analyze the market conditions and anticipate the price movements using elements like charts, patterns, and forex indicators. The main purpose of using these elements is to accomplish the price forecasting. Using charts and patterns, you can comprehend and process past market data of the forex market and, you can put some efforts into anticipating future price movements. A line chart joins the sequential data points using a line and this chart is utilized by forex traders to keep track of closing prices of the currency. 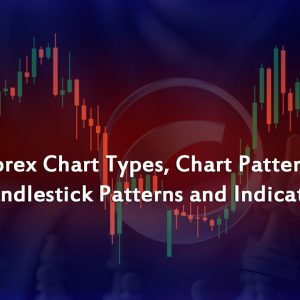 This chart is one of the most preferred charts used by forex traders and is formed by connecting a few successive closing prices together. In addition, line charts can be utilized for any time-frame. A line chart provides the forex traders with a distinct image of the price movements of a currency over a period of specified time. As the closing prices are considered as the most important price of the trading day, it can be seen why line charts are so often used by traders in the forex market. The right side of the bar contains the closing price. The left side of the bar contains the opening price. The top of the bar signifies the highest price of the currency during the day trading. The bottom of the bar signifies the lowest price of the currency during the day trading. A single bar covers a predetermined time-frame, which is usually one day. Nonetheless, a bar chart can at times also cover the time-frame from one minute to a week or more. Candlestick is very much like bar chart as it also shows the opening price, high price, low price, and close price for the trading day in the forex market. Usually, the candlestick shows the data for one trading day. The candlestick has a broad body, also referred to as the real body. The real body shows the range of currency prices which lies between the opening and closing price of the currency for a day's trading. When the closing price is lower than the opening price, the real body will be black, and when the closing price is higher than the closing price, the real body will be empty. There are thousands of traders who trade in the forex market on an everyday basis and it can be difficult to make trading decisions. Chart patterns are one way to identify the future price movements. They focus on the bigger picture and help the traders in recognizing the future price movements. Chart patterns have pre-defined distinctness and criteria, but no pattern can guarantee 100% accuracy or certainty when it comes to price movements in future. The most favorite chart patterns are reversals and continuations. A reversal pattern shows that the price movement will reverse at the end of the pattern and a continuation pattern shows that the prices will move with the same pattern even after the pattern gets completed. The Head and Shoulders is a reversal kind of chart pattern that shows that the price movements might follow a reversal trend once the pattern is finished. It has two types, standard head and shoulders top pattern and head and shoulder bottom pattern. The top pattern shows that the price movement for a currency pair will move downwards when the pattern is completed at the highest point of an upward trend. The bottom pattern shows that the price of the currency pair will rise after a downward pattern is completed. The cup and handle pattern can be both, reversal and continuation chart pattern. For reversal pattern to occur, the price must be moving downwards. As the cup has the rounded bottom, that is where the reversal patterns take place as prices start moving upwards from the bottom of the cup. When a cup pattern is formed, the price should take a pause and move sideways or lower to create a handle. For a continuation pattern, the prices must be moving upwards. The price movement will form a cup shape patterns and creates a handle, and then breaks out of the handle to keep moving upwards. The Double Tops and Bottoms chart pattern is easy to identify and also one of the most dependable analytical tools in the forex market. A double top is formed when the price reaches a high point in the upward trend and then moves downward to a new low point. Then again some time in near future price touches a new high point, very close to the previous high point and then falls below the previous low point. It is recognized as double top as the price reaches the high point twice in the same zone, incapable of moving ahead of that zone. A double bottom is formed when the price reaches a low point during the downward trend and then pulls back and starts moving upwards to a high point. When the price movement once again faces a decline, it touches the low point near to the previous low point, and then move upwards and touches the point higher than the previous high point. It is recognized as double bottom as both times price reached a low point in the same area and was not able to move below that. Triangle chart pattern is one of the most known patterns employed in the technical forex analysis as they appear more frequently as compared to other patterns. The three regular kinds of triangle patterns are ascending, descending, and symmetrical. The triangle patterns can last from a few weeks to many months. In symmetrical triangles, two market trend lines meet each other and indicate that a breakout may take place. Ascending triangles has a straight upward trend line and a lower trend line which is moving upwards, conveying that a breakout might occur. In descending triangles, there is a straight lower trend line and an upper trend line which is moving downwards, conveying that a breakdown might occur. Flags and Pennants are a form of continuation patterns. They show a sharp price movement, upwards or downwards, then there is a short sideways or downside movement and then the prevailing trend continues. This sideways movement usually creates a rectangle form, known as flag pattern, and when it creates a triangle form, it is called a pennant pattern. Let’s take a look at four of the most popular candlestick patterns along with several actual stock chart examples in order to show their worth. Bullish engulfing candlestick pattern occurs with the combination of two candlesticks of the current day and the previous day. The candle from the previous day is black candlestick and candle of the current day is the white candlestick. For the previous day, the price opens at an almost highest point and closes at the almost lowest point for the day. This forms the first candle which is the black candle. For the next or current day, the price opens at price below the closing price of the previous day. It increases the demand for the currency and price begins to move upwards. The day session closes at the price above the high price of the previous day. Thus the white candle engulfs the black candle completely. Bearish Engulfing Pattern occurs with the combination of two candlesticks of previous and current day. The previous day candle is the white candle and current day candle is the black candle. For the previous day, the price opens at a nearly lowest price of the day and at the end of the day, the price closes at a nearly highest price of the day. It forms the first and white candle. For the next or current day, the price opens at the level above the closing price of the previous day and then the price starts to move downwards. The price keeps on falling and closes at the price below the closing price of the previous day. This forms the black candle, which engulfs the white candle completely. A hammer candlestick pattern is formed when forex traders turn down the support or resistance levels. When Hammer pattern is formed, it means that the opening price, highest price, and the closest price are close to each other so that the real body is small in size. It also has a long lower shadow, which is at least twice the size of the real body. Doji candlestick pattern shows the indecision which is felt by the traders when it comes to the price action of a currency. Here, the opening and closing prices of a currency are almost equal. Doji candlesticks look like a cross or a plus sign. A Doji can be seen at the top and bottom of the market trends and can also be seen as a sign of possible reversal or continuation patterns based on the circumstances. A moving average is a popular forex indicator which is used in the technical analysis in smoothing out the price movement action by removing the random price swings from the main action. The two fundamental moving averages are the simple and exponential moving average. A simple moving average is calculated based on over a definite number of time periods. The Exponential moving average gives more weightage to the recent prices. Usually, moving averages are used to determine the direction of the market trend and identify support and resistance levels. Fractals are indicators that help in recognizing the reversal levels in the market. Forex traders utilize the fractals to identify the future price direction and movements. Most of the trading platforms with chart features provide fractals so that traders can just use the indicator on the chart to figure out the price patterns. Bollinger Bands is a forex indicator, formulated by John Bollinger. It is used to determine the level of volatility in the forex market. Basically, when the market is unagitated, the bands will shrink in size and when the market gets noisy, the bands will spread out. RSI stands for Relative Strength Index. It is a momentum forex indicator that determines the speeding and change of the recent price movements so as to study the conditions that might have resulted in overbought or oversold of the currency. RSI is regarded as overbought when the RSI value is higher than 70 and it is considered as oversold when the RSI value is under 30. These values can be modified based on what fits the security in the best way. You can add these indicators to your chart using the trading software given to you by the Forex Brokers. If you are interested in learning more about forex market price action analysis, you can refer to ‘ What is Price action trading analysis ? ’ and for getting more information about how to trade forex in Sri Lanka, ‘ Introduction to Forex Trading . Where to Trade Forex Online and Types Of Forex Brokers supported in Sri Lanka ? In present-day situation, a forex broker is an intermediator who buys and sells foreign currencies on behalf of the clients in return of for a commission. Before the internet, forex brokers used to operate by phone. Clients would contact their brokers though phone to tell them about what currencies to buy or sell, and brokers would just do that and in return, they would receive the commission. Now, with the emergence of the internet in last two decades, online forex trading has come into existence. The trading could be done through a variety of electronic platforms and computer applications. Security and Reliability - The most important characteristic that a forex broker must possess a high level of security and reliability. You will be handing over your hard-earned money to a stranger. Least you could do is make sure that the stranger is reliable and legit. Luckily, there are regulatory bodies all over the globe who can help you recognize a trustworthy broker. You can choose any regulated and licensed broker to do trading in the forex market. Cost of the transaction - When you trade in foreign currencies, you would also have to pay transaction costs. Every time you do forex trading in Sri Lanka, you have to pay commission or transaction cost. So the best approach would b to find the forex trader with the most affordable rates to do the trading. Also before making final decisions review your every option. Convenient deposits and easy withdrawals - A good forex broker will let you deposit or withdraw your funds from the forex market without creating any difficulty. Usually, forex brokers do not have any ground to make things difficult for their clients when it comes to depositing funds or withdrawing profits. They only use your funds to trade on your behalf. Look for the brokers who will make the trading easier and make the withdrawal procedure easier and smoother. Forex trading platform - Majority of forex trading happens through brokers’ online trading platforms. 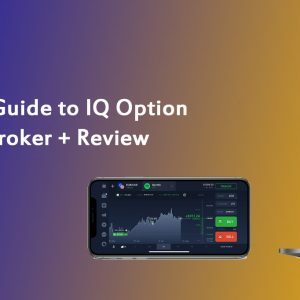 So it is important that the trading platform your broker is using must have user-friendly characteristics and must have a stable infrastructure. 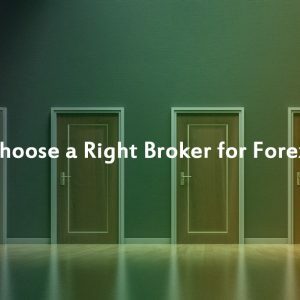 When choosing a forex broker, make sure their trading platform has a lot to offer to make your trading easier and successful. Best advisor - When you are looking for forex brokers in Sri Lanka, make sure that the one you are choosing gives you the best price for your orders, for both buying and selling. It is also important that your orders get filled at the right time so that you can make best of your circumstances. Best Customer support service - Usually, forex brokers try to do their best for their clients, but they are not perfect. So choose a broker whom you can approach without difficulty and who is always willing to help you and give the right advice. Also, make sure that the broker is knowledgeable and knows what he or she is doing. A dealing desk broker will offer its customers the functions of both the sides of the market. The broker puts both a bid and asks price for at which they are prepared to buy and sell the foreign currencies. Due to this, the forex broker's customers can always fill up the trading orders. Dealing desk brokers are also known as market makers. Their main purpose is to acquire a share of the spread and to maintain adequate volume on both buyers’ and sellers’ sides of the market to avoid risks. STP stands for Straight Through Processing. In this, the STP broker directs their customers’ orders straight to those who bring liquidity to the market such as banks and larger brokerage firms. It is called straight-through processing as the broker does not operate through a dealing desk and brings down the frequency of delays and requotes while trading is taking place. STP has been developed to enhance the speed at which the transactions in the forex trading market takes place. This is done by letting the information that has been filled using electronic means to be passed from one party to another during the settlement procedure without actually re-entering the same information repeatedly at every stage. ECN stands for Electronic Communication Network. An ECN forex broker utilizes the electronic communications networks or ECNs to offer their clients an opportunity to have direct contact with other participants of the forex trading market. The ECN provides the buyers and sellers with an electronic system where they both the parties come together in order to execute trades. This network has been designed in such a way that it can match the demand and supply of the currencies at the prices customers want to pay or want to receive for the currencies. Basically, this network match buying and selling orders available in the exchange. Through ECN, customers can also check the ask and bid prices of the currencies listed in the open market. Online forex trading is similar to any other trading platforms which are used to buy and sell the securities. The forex trading platform act as a mediator between the forex broker and the trader. Platforms also provide the customers with both current and historical data pertaining to a particular foreign currency and provide the customer with an access to all types of orders available in the forex trade market. For forex trading in Sri Lanka, you can use MT4, MT5, and cTrader ( Your chosen broker will provide one or all these platforms ) to enjoy a smooth and easier trading experience. If you want to know more about Forex markets, you can visit our article, Introduction to Forex Trading for more information. The currency market is the largest and enjoys the highest level of average daily turnover amongst all the financial markets. Forex market serves many purposes, but its main purpose is to cater the currency requirements of importers, exporters, and travelers from around the world. However, forex trading in Sri Lanka is enclosed in a circle of mystery and confusion. However, here in this article, you will learn what is foreign trading and how the forex market provides a number of opportunities for investors around the world. Forex stands for foreign exchange. Forex market is the market where all the interested parties can purchase and sell the currencies. 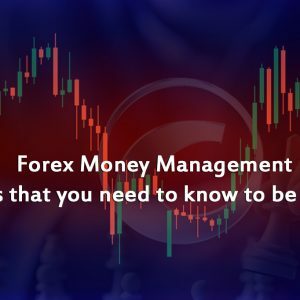 The forex market includes banking institutions, non-banking commercial establishments, investment management companies, and retail forex brokers and individual investors. The forex market is regarded as one of the largest financial markets with more than $5 trillion value of transactions on an everyday basis. The foreign exchange market is not just one market exchange. Instead, it comprises of a worldwide system of computers and brokers from all over the world. The forex market operates in two ways, the interbank market, and the OTC (over-the-counter) market. In the interbank market, large banking establishments buy and sell currencies with the aim of hedging, making adjustments in the balance sheet, and also for their clients. In the OTC market, individuals buy and sell currencies directly through online platforms and forex brokers. When it comes to the forex market, all you have to do is switch on your computer, open a forex account with a brokerage firm, deposit an amount, and start trading with currencies straightaway. However, in the past, it wasn’t this easy. In the last few decades, the forex market has changed significantly. At the end of World War II, major currencies around the world were measured against the economic value of gold. In the beginning, this helped in bringing stability in the exchange rates. However, as economies began to develop after the war, gold became more and more costly. In the year 1971, the gold system was eliminated, allowing the exchange rates to work independently. In the 1990s, the internet era had begun and many companies were adopting it to create their online networks in order to generate quotes and allow instant trading. Advancement of technology allowed the individuals to buy and sell currencies in the foreign exchange market. Today, foreign exchange market is the largest financial market in the world and every day a large number of investors operate in this market exchange. The biggest participants in the foreign exchange market are institutional investors and traders. A majority of forex trading money comes from institutional investors and traders, about 94.5% of the market volume. Institutions - Physical establishments that directly buy and sell the currencies for their own forex accounts. For example, authorized central banks and commercial banks. Institutional Investors: An institutional investor is a larger entity who has access to large funds for investing in the forex market. For example, banks, investment advisory firms, pension funds, etc. Retail traders and investors buy and sell currencies from their own private Forex trading account, using their own money. They invest in two ways, short and intermediate term trading, and long-term trading or investing. How to make money from home ? How to make money on the internet ? What are the online part time jobs for Sri Lanka ? What are the online jobs in Sri Lanka ? What are the Ways to make money online ? 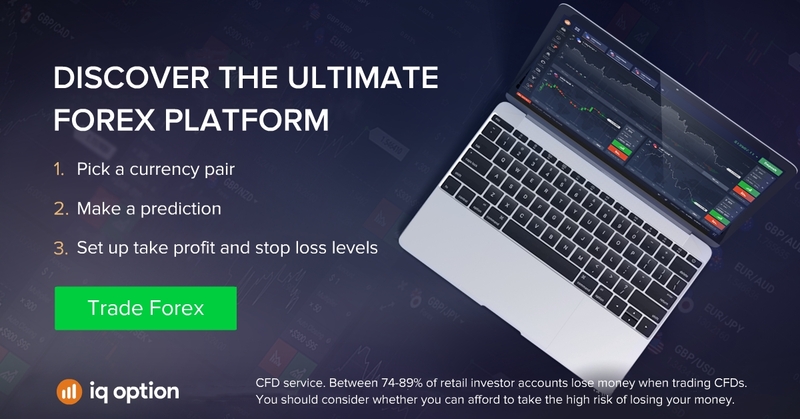 Forex trading will be one of the best solutions for all above questions but forex market is a financial market and just like any other financial market, it comes with its own set risks and rewards. So let's learn about them before considering forex trading. Interest Rate Risks - When a nation’s interest rate rises, its currency also get stronger due to the influx of large investments in the country. Similarly, a fall in interest rate leads to a fall in the value of the currency. Change in interest rate also affects the currency exchange rate, hence leading to risky circumstances. Leverage Risks - In forex trading, at the start, a small amount of investment is needed in leverage, known as margin. It is done to get access to considerable trades in foreign currencies. Sometimes due to fluctuations, an investor might have to pay additional margin. Larger fluctuations can lead to hefty losses. Transaction Risks - This risk is associated with the change in the exchange rate of the currency between the start and settlement of the trade contract. Forex trading works on the 24-hour basis and exchange rates keep changing and it might even change while a transaction is taking place. Exchange rate might go up and down from the contract price. Country Risk - This risk is associated with the economic structure and financial stability of a country issuing the currency. Change in economic and financial position and policies of a country also affects its exchange rate. Counterparty Risk - The counterparty is that company in a financial transaction which provides the investor with the asset. The counterparty risk is the risk of non-payment from the trader or broker during a transaction. In the forex market, there is no guarantee on spot and forward contracts on foreign currencies and risks come from the solvency of the broker and market conditions. No commissions to be paid - In forex trading, you won’t have to pay any fees or commission like exchange fees, clearing fees, and brokerage commission. Most retail brokers are paid through bid-ask spread. It is the difference between the highest price a buyer is ready to pay and lowest price seller is ready to accept for currency ( for keeping trades open for more than a day may require you to allocate a tiny fee. ). Low transaction costs - The cost for a retail transaction usually stays under 0.1% during the normal market circumstances. 24-hour trading - Forex market stays open for 24 hours. This is especially beneficial for those who want to trade in currencies on a part-time basis. They can trade at any time they want, be it in the morning, noon, evening or even past midnight. Cannot be affected by one single entity- The foreign exchange market is the biggest financial market in the world and there are several participants who trade in this market every day and during all hours of day and night. So basically, a single entity cannot control the market price for a longer period of time. Small deposit needed - In forex trading, you can start with a very small deposit in leverage. A small deposit can give you control over a much higher contract price. It means that investors can make big profits with just a small investment. Higher Liquidity - In the forex market, liquidity is very high. This is a very rewarding situation as under normal market circumstances, you can buy or sell the currency just with a click of your mouse. George Soros is renowned as one of the superlative investors in history. He is known for his excellent trading move when he made a profit of over £1 billion from the short position in pound sterling. Moreover, he did this successful deed before Black Wednesday of 16 September 1992. Soros had a strong grasp over risk and reward factors. It was one of the characteristics of his financial mind that assisted in shaping his reputation as one of the leading Forex traders in the world. Warren Buffet is an American investor and business tycoon and also one of the richest men on this planet. In 2014, Mr. Buffett was estimated to have an overall wealth of $63.2 billion by Forbes. When it comes to working in the forex market, he works on one simple principle. He believes in having patience and gather a proper understanding of the market so as to earn high profits in the long run. Buffett’s investment plan has been the most successful to date. Bill Lipschutz earned profits from listing the millions of dollars of Salomon Brothers at FX department in the 1980s, even though he had no past experience of the currency markets. Lipschutz believes that market perceptions along with the market fundamentals help in determining pricing patterns in the market. You can read more about them and more forex success stories here " Most famous Successful Forex Traders " article by us. What Emotions Should You Watch For In Yourself While Trading Forex ? Being emotional is part of being a human. But getting emotional when you are trading in forex market might not be such a good thing. You can’t avoid emotions, but what you can do is not let them influence your decision-making abilities. As a result, it is important that you understand what type of emotions you should watch out for while trading in the forex market. If you want to do forex trading in Sri Lanka , managing your emotions in a refined way would decide your ability to earn profit or loss in the forex market. The best way to approach your emotional dilemma is to understand your nature as a trader, find your strengths and weaknesses, and pick a trading method that will suit your psychology and financial standing. A large number of forex traders, both novice and experienced, go through a temptation of over-trading. They make plans to overcome this temptation, which can be tricky at times. By formulating a well-defined management plan of action, you can get over the urge of overtrading and stay in the market in the long run while also maintaining and improving your trading position. Fear is a part of trading in forex market where prices move up and down, and where there is no guarantee that you will not lose what you have earned, a few bad moves, and all might get lost. The fear of reaching a position where a trader might have to suffer losses can be damaging and the trader might also lose some of the very profitable opportunities out of fear. Winning a few hefty trade deals can make a trader greedy for more and he or she might become less conscious or overconfident when trading in the forex market. Try to avoid being over greedy. Greed might work for you at times, but it can also make you reckless and you might start making too many impulsive decisions that might be harmful for your overall trading position. Greed can increase the risks and also encourage your gambling tendencies. Hope is like a double-edged sword. It is good for life and trading, but having too much hope can be as damaging as too much greed and fear. If you have placed an order on the losing trade, you might be hoping that the loss will turn into profit in future. As a result, you may miss all the signs that the trade will go on the path of losses and continue with that trade. You might also enter into a bigger trade hoping that it will compensate all your previous losses, which might prove to be very risky. So be careful what you wish for or to be more specific, what you hope for. Getting excited and anxious is not unusual when trading in the forex market. When you are very anxious or excited while trading, it is often an indicator that you are working against the trading rules and expectations, or you have gotten into a deal where you are wondering whether it was a right or bad move, or you are gambling a high amount. The best way to handle this situation is to write down your feelings and figure out the reasons behind why you are anxious or excited and plan accordingly. Sometimes while trading in the forex market, you lose a great deal or face losses because of the actions of an opponent or another trader. You might feel very angry at this and in order to prove yourself better than your rival, you might want to retaliate against him or her. This can lead to a very bad example of risk management. Because results of revenge can be something you might not be ready to handle and it might have devastating effects on your trading and overall financial status. Decisions you will take in the throes of revenge might turn out to be bad business decisions. How To Handle Your Emotions When Trading In Forex Market? Develop an effective trading plan. Good planning will help you bring down the level of risks involved in your trading methods and also help you get over your emotional outbursts without affecting your trading position and goodwill. After you have placed a trade order, do not keep going back again and again to keep track of it. Price movements might tempt you to make changes in your trade circumstances like you may want to move the stop loss or take profit level, which might not be good for your trading position. So simply place the order and then move away. After making profits or losses on a few successive trades, it is better to take a respite from the things. With too many profit deals you might become overconfident or with losses, you might make reckless or highly risky moves to make up for all the losses. Taking a break will help you take a look at everything you have done in your forex trading business and reflect on what you did right and what you did wrong. When you enter into a forex trading market, you get to learn lots of things and theories about how to trade in forex market. There are tried and tested methods of trading that are used by many forex traders across the world and with good results. You can use those methods when trading, instead of doing something that will give you doubts about your trading system. Effective and efficient trading techniques will keep you calm and help you control and manage your emotions. Also if you want to to know how to trade forex in Sri Lanka, read ‘ Introduction to Forex Trading ’.